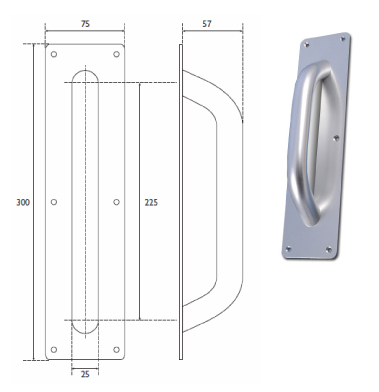 Aluminium ligature resisting ‘infilled’ pull handle mounted on a plate. Infill plate prevents the introduction of ligatures. 25mm diameter x 225mm on 300mm x 75mm plate. Can be fixed with tamper resistant screws or bolted through the door for additional strength. Alternative sizes available to special order.